Mouldings are very versatile, as they can be used for various purposes. 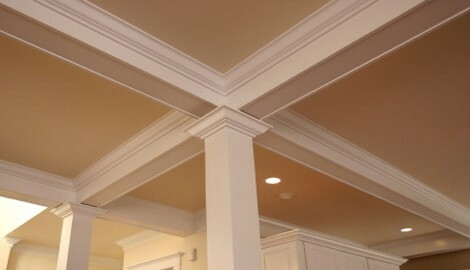 Mouldings are commonly used to hide the transition between surfaces, or they can be used for decoration within a home. Other mouldings, such as chair mouldings, are used to protect walls from the wear of chairs. Traditionally, mouldings are made from solid wood; however, they come in a variety of materials, including plastic, plaster, and reformed wood. They come in a vast variety of shapes and are chosen on the basis of personal preference and style.